2. The plan to expand the settlement of Ma'aleh Adumim into the so-called "E1" area, east of Jerusalem, threatens to complete the encircling of the city by Jewish settlements, dividing the West Bank into two separate geographical areas. The proposed extension of the barrier from East Jerusalem to form a bubble around the settlement of Ma'aleh Adumim would have the same effect. 2004 saw a near tripling of the number of Palestinian buildings demolished in East Jerusalem. We expect a similar number of demolitions in 2005. 88 homes in the Silwan neighbourhood with demolition orders outstanding against them attracted much attention in June. 3. When the barrier has been completed, Israel will control access to and from East Jerusalem, cutting off its Palestinian satellite cities of Bethlehem and Ramallah, and the rest of the West Bank beyond. This will have serious economic, social and humanitarian consequences for the Palestinians. By vigorously applying policies on residency and ID status, Israel will be able finally to complete the isolation of East Jerusalem - the political, social, commercial and infrastructural centre of Palestinian life. 4. Israel's activities in Jerusalem are in violation of both its Roadmap obligations and international law. We and others in the international community have made our concerns clear on numerous occasions, to varying effect. Palestinians are, without exception, deeply alarmed about East Jerusalem. They fear that Israel will "get away with it", under the cover of disengagement. Israeli actions also risk radicalising the hitherto relatively quiescent Palestinian population in East Jerusalem. Clear statements by the European Union and the Quartet that Jerusalem remains an issue for negotiation by the two sides, and that Israel should desist from all measures designed to pre-empt such negotiations, would be timely. We should also support Palestinian cultural, political and economic activities in East Jerusalem. In view of the Palestinian legislative elections scheduled for 25 January 2006, encourage the parties to agree on the terms and substance of their co-ordination to allow for satisfactory elections to take place in East Jerusalem, referring to the parties' obligations under the interim agreements and the Roadmap (PA to hold elections and Israel to facilitate them) and taking into account the recommendations formulated in the Rocard EUEOM report. Offer 3rd party technical assistance and monitoring capacity if required and adequate. - EU projects with a Palestinian NGO on legal counselling concerning building permits and house demolitions - EU project on the development of a master plan for urban planning and legal housing for Palestinian neighbourhoods in East Jerusalem. Facilitate a solution of the access issue. This would comprise a range of political and operational measures, both short and long term. Support local and international organisations in their information efforts on East Jerusalem. Enhance EU assistance to Palestinian institutions in East Jerusalem, including cultural activities and community empowerment. 1. Jerusalem is already one of the trickiest issues on the road to reaching a final status agreement between Israel and the Palestinians. But several inter-linked Israeli policies are reducing the possibility of reaching a final status agreement on Jerusalem that any Palestinian could accept. We judge that this is a deliberate Israeli policy - the completion of the annexation of East Jerusalem. Israeli measures also risk radicalising the hitherto relatively quiescent Palestinian population of East Jerusalem. 2. The EU policy on Jerusalem is based on the principles set out in UN Security Council Resolution 242, notably the impossibility of acquisition of territory by force. In consequence the EU has never recognised the annexation of East Jerusalem under the Israeli 1980 Basic Law (Basic Law Jerusalem Capital of Israel) which made Jerusalem the "complete and united" capital of Israel. EU Member States have therefore placed their accredited missions in Tel Aviv. The EU opposes measures that would prejudge the outcome of Permanent Status Negotiations, consigned to the third phase of the Road Map, such as actions aimed at changing the status of East Jerusalem. 4. In July 2004 the EU acknowledged the Advisory Opinion of the International Court of Justice on the "legal consequences of the construction of a Wall in the occupied Palestinian territories including in and around East Jerusalem" and voted in favour of the General Assembly Resolution that recognised it. While the EU recognises Israel's security concerns and its right to act in self-defence, the EU position on the legality of the separation barrier largely coincides with the ICJ Advisory Opinion. and finally in "Greater Jerusalem" - linking the city of Jerusalem to the settlement blocs of Givat Ze'ev to the north, Ma'aleh Adumim to the east (including the E1 area, see below), and the Etzion bloc to the south. Settlement activity and construction is ongoing in each of these three bands, contrary to Israel's obligations under international law and the Roadmap. 6. E1 (derived from 'East 1') is the term applied by the Israeli Ministry of Housing to a planned new neighbourhood within the municipal borders of the large Israeli settlement of Ma'aleh Adumim (30,000+ residents), linking it to the municipal boundary of Jerusalem (a unilateral Israeli line well east of the Green Line). E1, along with a maximalist barrier around Ma'ale Adumim, would complete the encircling of East Jerusalem and cut the West Bank into two parts, and further restrict access into and out of Jerusalem. The economic prospects of the Wset Bank (where GDP is under $1000 a year) are highly dependent on access to East Jerusalem (where GDP is around $3500 a year). Estimates of the contribution made by East Jerusalem to the Palestinian economy as a whole vary between a quarter and a third. From an economic perspective, the viability of a Palestinian state depends to a great extent on the preservation of organic links between East Jerusalem, Ramallah and Bethlehem. 7. E1 is an old plan which was drawn up by Rabin's government in 1994 but never implemented. The plan was revived by the housing Ministry in 2003, and preliminary construction in the E1 area began in 2004. Since his resignation from the Cabinet Netanyahu has tried to make E1 a campaign issue. The development plans for E1 include: the erection of at least 3,500 housing units (for approx. 15,000 residents); an economic development zone; construction of the police headquarters for the West Bank that shall be relocated from Raz el-Amud; commercial areas, hotels and "special housing", universities and "special projects", a cemetery and a waste disposal site. * About 75% of the plan's total area is earmarked for a park that will surround all these components. So far only the plans for the economic development zone have received the necessary authorisations for building to commence. The plans related to residential areas and the building of the Police Headquarters have been approved by the Ma'aleh Adumim Municipality but not yet by the Civil Administration's Planning Council. 8. The current built-up area of Ma'aleh Adumim covers only 15% of the planned area. The overall plan for Ma'aleh Adumim, including E1, covers an area of at least 53 square kilometres (larger than Tel Aviv) stretching from Jerusalem to Jericho (comment: Israel's defence of settlement expansion "within existing settlement boundaries" therefore covers a potentially huge area). In August 2005 Israel published land requisition orders for construction of the barrier around the southern edge of the Adumim bloc, following the route approved by the Israeli cabinet on 20 February 2005 (including most of the municipal area of Ma'aleh Adumim). 11. Settlement building inside East Jerusalem continues at a rapid pace. There are currently around 190,000 Israeli settlers in East Jerusalem, the majority in large settlement blocks such as Pisgat Ze'ev. The mainstream Israeli view is that the so-called Israeli "neighbourhoods" of East Jerusalem are not settlements because they are within the borders of the Jerusalem Municipality. The EU, along with the most of the rest of the international community, does not recognise Israel's unilateral annexation of East Jerusalem and regards the East Jerusalem "neighbourhoods" as illegal settlements like any others - but this does not deter Israel from expanding them. Some of these settlements are now expanding beyond even the Israeli-defined municipal boundary of Jerusalem, further into the West Bank. The Jerusalem municipality has also been active around Rachel's Tomb, outside the municipal boundaries. 12. Smaller in number but of equal concern are settlements being implanted in the heart of existing Palestinian neighbourhoods, with covert and overt government assistance. Extremist Jewish settler groups, often with foreign funding, use a variety of means to take over Palestinian properties and land. They either prey on Palestinians suffering financial hardship or simply occupy properties by force and rely on the occasional tardiness and/or connivance of the Israeli courts. Such groups have told us that they also press the Israeli authorities to demolish Palestinian homes built without permits. Israel has previously used the "Absentee Property Law"1 (generally applied only inside Green Line Israel) to seize property and land. The Attorney General declared that this was "legally indefensible" in the Bethlehem area earlier this year and the practise has stopped, but the law remains applicable to East Jerusalem and can be resurrected any time the Israeli Government sees fit. 13. Some of the Jewish settlements lack building permits, but not one has been demolished - in marked contrast to the situation for Palestinians. There are also plans to build a large new Jewish settlement within the Muslim Quarter of the Old City, a step that would be particularly inflammatory and could lead to the further "Hebronisation" of Jerusalem. The aim of these settlers, and settlements, is to extent the Jewish Israeli presence into new areas. As a result, President Clinton's formula for Jerusalem ("what's Jewish becomes Israel and what's Palestinian becomes Palestine") either cannot be applied - or Israel gets more. 14. Israel has largely ignored the Advisory Opinion of 9 July 2004 of the International Court of Justice regarding the barrier. On 20 February 2005, the Israeli Government approved the revised route of the separation barrier2. This route seals off most of East Jerusalem, with its 230,000 Palestinian residents, from the West Bank (i.e. it divides Palestinians from Palestinians, rather than Palestinians from Israelis). The Barrier is not only motivated by security considerations. On 21 June 2005, the Israeli High Court ruled that it was legal to take into account political considerations, in addition to security considerations, for the routing of the barrier in East Jerusalem because East Jerusalem had been Israeli territory since its annexation in 1967 (i.e. political considerations are not legal in the West Bank, which has not been annexed to Israel). On 10 July the Israeli Cabinet decided to route the Jerusalem barrier so as to keep around 55,000 East Jerusalemite Palestinians, mainly in the Shu'afat refugee camp, outside the barrier. The fact that the Cabinet decision not only included short-term but also long-term measures designed to accommodate the new situation created by the Barrier - e.g. constructing new educational institutions and encouraging hospitals to open branches "beyond the fence" - appears to contradict the notion of the Barrier being a temporary rather than a permanent structure. And if Israel were to provide adequate municipal services to the areas excluded (as it is promising to do) this would be in contrast to hitherto poor service provision in the rest of East Jerusalem. Israeli NGOs working on the Jerusalem issue have looked at Israeli proposals to ensure that the people affected are not "cut off" from the city, and judged them deficient. 15. The barrier extends like a cloverleaf to the northwest, southwest and east, beyond even the (Israeli defined) municipal boundary of Jerusalem, leaving 164 square kilometres of West Bank land on the "Israeli" (western) side. Combined with settlement activity in these areas this de-facto annexation of Palestinian land will be irreversible without very large scale forced evacuations of settlers and the re-routing of the barrier - which reportedly cost 800,000 euros per kilometre. It will also block the alternative Bethlehem-Ramallah route for Palestinians, forcing them to travel via tunnels or Jericho. 16. We should ensure that any support we provide to East Jerusalem is not simply an attempt to reduce the negative consequences of the construction of the separation barrier. The ICJ ruling on the barrier, accepted by the EU with limited reservations, states: "all States are under an obligation not to recognise the illegal situation resulting from the construction of the wall in the Occupied Palestinian Territory, including in and around East Jerusalem. They are also under an obligation not to render aid or assistance in maintaining the situation created by such construction". 17. The Israeli authorities place severe restrictions on the building of Palestinian housing in East Jerusalem. The Israeli authorities will only issue building permits for areas that have zoned "master plans". The municipality produces such plans for areas marked for settlement development, but not for Palestinian areas - only Palsetinians are expected to draw up their own plans, at great (generally unaffordable) expense. So each year Palestinians receive less than 100 building permits, and even these require a wait of several years. At the same time, rules requiring Palestinians with Jerusalem residency status either to reside in the city or risk forfeiting that status have forced thousands of Palestinians in this situation to move from other areas of the West Bank back to Jerusalem, adding to the severe pressure on housing. As a result, most new Palestinian housing is built without permits and is therefore considered "illegal" by the Israeli authorities (although under the 4th Geneva Convention occupying powers may not extend their jurisdiction to occupied territory). The restrictions and demolitions also leave undeveloped (but Palestinian-owned) land available for new settlements or the expansion of existing settlements. 18. In 2004, at least 152 buildings (most of them residential) were demolished in East Jerusalem, a sharp increase over previous years (66 in 2003, 36 in 2002, 32 in 2001 and 9 in 2000). In May 2005 the Jerusalem municipality's intention to destroy 88 houses in the Silwan neighbourhood became public. Following media scrutiny and international pressure, they have put these demolitions on hold, but the future of Silwan remains uncertain, with demolition orders remaining in place. In the meantime, elsewhere in Palestinian neighbourhoods, homes continue to be demolished on a regular basis. According to the Israeli Committee Against House Demolitions 52 buildings (including a seven-storey building and eight petrol stations) have been demolished in East Jerusalem so far this year. The municipality's budget for house demolitions (approved late, in March) stands at NIS 4m (approximately 800k euros), a figure slightly higher than last year. Our contacts estimate that this will allow the municipality to demolish 150-170 buildings. In cases where the municipality is deemed not to be carrying out its duty to demolish illegal buildings (whether through lack of will or budget constraints), the Ministry of Interior can and does demolish buildings (fourteen in 2004, six so far in 2005). House demolitions are illegal under international law (see above), serve no obvious security purpose (but rather relate to settlement expansion), have a catastrophic humanitarian effect, and fuel bitterness and extremism. Palestinians continue to build illegally because they have no alternative, and because the municipality and Interior Ministry together can only demolish a fraction of the approximately 12,000 "illegal" homes in existence. Palestinians describe it to us as "a lottery". 19. Some Palestinians have blue Israeli ID cards, that give them the "right" to live in Israel (in practice, in East Jerusalem), but not to vote in Israeli national elections or take an Israeli passport. The renewal of these Blue ID cards is a lengthy, cumbersome and at times humiliating process to be carried out every year at the East Jerusalem office of the Israeli Ministry of Interior. The remainder have green West Bank ID cards or orange Gaza ID cards, and must apply for a permit to enter East Jerusalem. Eevn for those West Bankers and Gazans regularly employed in East Jerusalem, these entry permits have to be renewed every three months. Between 1996-1999 Israel implemented a "centre of life" policy meaning that those with blue ID found living or working outside East Jerusalem, for example in Ramallah, would lose their ID. A wave of blue ID cardholders therefore quickly moved back to East Jerusalem. The residency of hundreds of Palestinians that lived for a prolonged period outside of Israel and the OTs was revoked, a policy that continues. Renewed application of this rule and the construction of the barrier around Jerusalem has led to a second wave of "immigration" of blue ID card-holders to the city. Israel has also announced that it plans to introduce biometric, machine-readable ID cards. This is of great concern to Palestinians because it would enable Israel to check if blue ID cardholders really do live and work in the city, and if not, to expel more of them. 20. Israel's main motivation is almost certainly demographic - to reduce the Palestinian population of Jerusalem, while exerting efforts to boost the number of Jewish Israelis living in the city - East and West. The Jerusalem master plan has an explicit goal to keep the proportion of Palestinian Jerusalemites at no more than 30% of the total. But the policy has severe humanitarian consequences - couples in which one spouse has a Blue ID and the other a Green ID will be forced to leave Jerusalem (Israel permits the transfer of blue ID status to spouses and children in theory but very rarely in practice). Palestinians with Israeli IDs already live in something of an identity limbo - neither Israeli Arabs, nor linked to the Palestinian Authority - and these measures can only worsen their situation. The separation of East Jerusalem from the rest of the West Bank is crippling both areas economically, and the influx of returning blue ID card-holders is exacerbating the housing crisis - property prices and rents are soaring. 21. The Jerusalem municipality is responsible for the majority of the house demolitions carried out in East Jerusalem (see above). It also contributes to the economic and social stagnation of East Jerusalem through other policies. The Israeli Committee Against House Demolitions claims that while Palestinians contribute 33% of the municipality's taxes, in return it spends only 8% of its budget in Palestinian areas. The exact figures are hard to assess, but discrimination in expenditure is obvious. Palestinian areas of the city are characterised by poor roads, little or no street cleaning, and an absence of well-maintained public spaces, in sharp contrast to areas where Israelis live (in both West Jerusalem and East Jerusalem settlements). Even Jewish ultra-orthodox neighbourhoods (which contribute very little in taxes, for various reasons) are far better provided for by the municipality. The provision of services in what is, according to Israeli definitions, a single municipality, is therefore subject to discriminatory practices. Palestinians regard municipal taxes as a tax on their residency rights, rather than a quid pro quo for municipal services. The high level of taxation (given that Palestinian incomes are typically much lower) and discriminatory law enforcement that appears to target Palestinians for fines for a variety of offences (traffic violations, parking offences, no TV licence etc) further worsen the economic situation of Palestinians. This makes it harder for them to maintain their residency in the city, and more vulnerable to settler groups or Palestinian collaborators offering them good money for their property or land. 22. Cutting the link between East Jerusalem and the West Bank: Palestinian East Jerusalem has traditionally been the centre of political, commercial, religious and cultural activities for the West Bank, with Palestinians operating as one cohesive social and economic unit. Separation from the rest of the West Bank is affecting the economy and weakening the social fabric. Since Israel's occupation of the eastern part of Jerusalem in 1967, Palestinian access to Jerusalem from the West Bank has been increasingly restricted. During the Oslo Process, in 1993, the Israeli government banned entry for all Palestinians from the West Bank and Gaza without a permit. Settlements together with by-pass roads have further restricted access in Jerusalem. And the Barrier has further aggravated the situation. 23. Threats to Residency Status: Palestinian Blue ID holders outside the barrier are increasingly unable to access East Jerusalem, forcing them to access educational, medical and religious services in the rest of the West Bank. This jeopardises their Jerusalem residency rights, according to the Israeli "centre of life" policy. 25. Restriction of religious freedom: Christians and Muslims living east of the Barrier already have restricted access to their holy sites. West Bankers are finding it increasingly difficult to get to the Haram al Sharif/Temple Mount compound - because of the wider system of permits to enter Jerusalem, and the barrier. No males under 45 are allowed onto the compound. The Director of the Awqaf, which controls the mosques, has complained particularly about increasing Israeli measures to dominate and control the compound. Police have been regularly patrolling the compound for a year. The Israelis say this is to ensure good settler behaviour, but the effect is that it intimidates worshippers. The Israelis have also introduced new measures over the past few weeks - cameras have been placed at every gate, outside the Haram but pointing in. Thus every entrance is tightly controlled. The Israelis have also begun erecting fences on the buildings surrounding the Haram. Muslim concerns regarding access to (and threats to) the Haram al-Sharif mosques have both security and political implications. Perceived "threats" to the mosques by Jewish groups and the denial of access to Muslims regularly spark confrontations, and motivate Palestinian extremists. 26. The wider political consequences of the above measures are of even greater concern. As outlined above, prospects for a two-state solution with east Jerusalem as the capital of Palestine are receding. The greater the level of settlement activity in and around East Jerusalem the harder it will be to say what is Palestinian, and to link this up with the rest of the West Bank. Israeli activity in E1 and the fencing off of a broad area around Ma'ale Adumim are of particular concern in this regard. 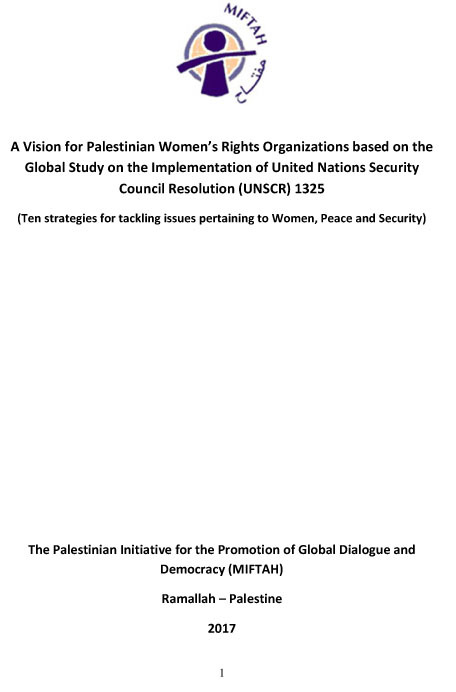 Israeli policies in East Jerusalem are making proposals for a resolution of the conflict along the one developed by the Geneva Initiative in 2003, a civil society initiative which was welcomed by the EU, harder to achieve. 27. 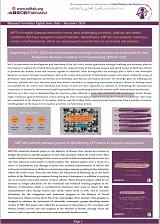 Arrangements to facilitate the PA Presidential Election in East Jerusalem in January 2005 were unsatisfactory - Israel closed down voter registration centres, candidates could not campaign freely in the city, and restrictions on the number of polling stations led to chaos on election day. The report of former Prime Minister Rocard's Elections Observation Mission sets out the problems clearly, along with recommendations for improvements ahead of the PLC elections, scheduled for 25 January 2006. Israel passed the Absentee Property Law in 1950. It states that any landowner who left her/his permanent residence at any time following November 29, 1947 to any Arab State, or to any area of the Land of Israel, which is not part of the State of Israel (i.e. West Bank and Gaza) automatically forfeited any property within the State of Israel to the Absenteed Property Custodian - a public body, which subsequently transferred title to these properties to the State. Most of these lands - primarily in the Negev and the Galilee - were used to build kibbutzim, moshavim and development towns for the Jewish population.